Topic: Time for all radicals to go, especially from Congress!!! Let us count up the number of typical murderous terrorist Islamic scum-sucking hell-spawned devils, shall we? That's a shytload of pisslamic murderous trash right there! So, Tlaib you lying whore of Satan, shut your demonic mouth and GTFO of my country and take that inbreeding Omar with you! And the shameful hero-mocking commie whore appeaser of Satanic terrorist filth also needs to go! This Soros-puppet is incapable of regulating her bashyt-crazy hatred and needs assistance in leaving! The appeasers of Satanic terrorists in the Goebbels Media need to go! I am tired of this treasonous filth!!! Re: Time for all radicals to go, especially from Congress!!! Incapable?? She doesn't want to she's rubbing it in our faces and showing her people how stupid we can be by putting Muzzies in our government. Some people have to clean all this shyt up!!! As Olson concisely explains, not only was anti-Jewish cleric and activist Asad Zaman invited by Minnesota Governor Tim Walz to deliver a sermon before the State of the State address, but a bill currently before the Minnesota legislature nominates Zaman to join a taskforce on "Islamophobia and antisemitism." This is particularly galling, given that on his social media, Zaman promotes anti-Semitic conspiracy articles published by neo-Nazi websites, expresses support for violent jihadist groups, including Hamas and Islami Chhatra Shabir, and writes: "It is a tactic of the Israeli lobby to label those whom they cannot shut up as anti-Semites. (please check out the Hasbara manual)." Zaman is head of the Minnesota branch of the Muslim American Society, a national organization first founded by Islamist activists involved closely with the Muslim Brotherhood. In 2014, the United Arab Emirates named MAS as a terrorist organization, along with another group, the Council on American-Islamic Relations (CAIR). CAIR is also extremely active in Minnesota. Its Minnesota branch, and its head Jaylani Hussein, have also been nominated by the same Minnesota bill to join the anti-Semitism taskforce. Hussein has been criticized before, after he reportedly refused to condemn the designated terrorist organization Hamas. But this is small-time compared to the views of his colleague, Abubakar Osman, who states he is CAIR Minnesota's Government Affairs Coordinator. 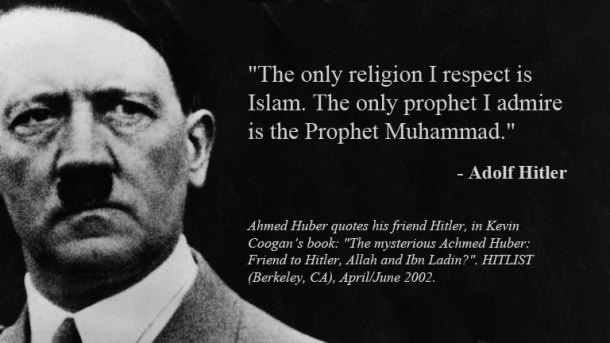 On Facebook (on which he uses the name Sadiqq Abu Osman, reports his employer is CAIR Minnesota, and uses profile photos that feature the same person as in his LinkedIn account ), he wrote in a post in 2008: "i wish hitler was alive to f**k up the jewish ppl and add more jewish causalities to the 6 million he killed in the holocaust..."
Other CAIR Minnesota officials include board member Abdul Basit, who has claimed that those who "plot" against Bernie Sanders do so because they are Jewish. Few readers will not have read last month about the furor over Minnesota Representative Ilhan Omar's comments about pro-Israel groups and their purported power over American politics. Many considered her remarks anti-Semitic. Rather unsurprisingly, CAIR Minnesota, the Muslim American Society and their anti-Jewish officials are devoted supporters of the Congresswoman.